Something actually different in terms of gameplay for once and probably unexpected, but this next project will be a slow, yet powerful and tanky grappler with chain grab combos. Heavily based on her counterpart from the source game, but with many liberties both to accommodate her to my own custom gameplay style and to introduce original ideas that can only be found in my own take on the Rumi Nanase doppelganger. Had to work out some burst buffering issues now that I am working on a grappler, so, apologies for the delay. Here's something that will make Doppel stand out however from my previous characters. Maiden Enlightenment is desperation move that activates passively whenever Doppel Nanase is at 33% life and has 5 bars of power on round 3 or beyond. It's a massive buff that increases her movement speed, attack speed, gives a 20% defense buff and increases her power by 20%. It makes her extremely dangerous in any conditions that go for more than 2 rounds. Showcasing Doppel Nanase's Unique Ability: Parry. It's closer to Shielding from Melty Blood in function, which gives a little more leniency compared to Capcom's variation... which is very much needed in the fast-pace, chaotic playstyle that my characters operate in. 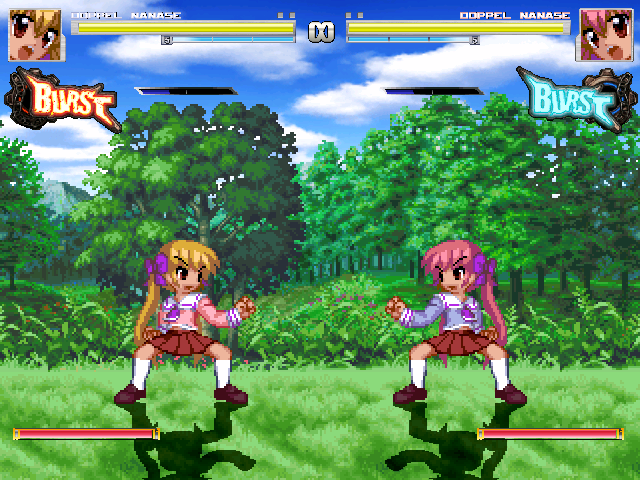 Each Parry can stop a hit from any conventional strike or projectile attack, but will not stop throw type moves. 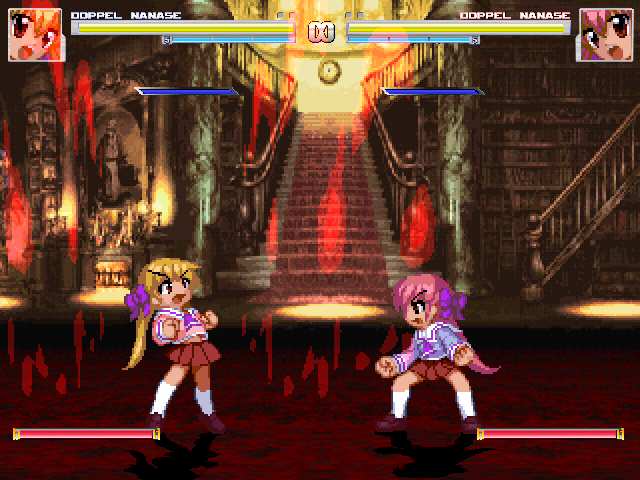 Each successful Parry also incurs additional cooldown time for opponent's attacks while giving Doppel tiny amounts of life and power in return. It should help facilitate her need to close the gaps as the grappler type that she is. Managed to make it so that Maiden Volcannon carries the opponent off screen in a similar fashion to MvC. Doppel's definitely gonna be the unga among my creations. Showcase video of Doppel's first match. That first match was just... wow. Really like what you're doing with her right now. 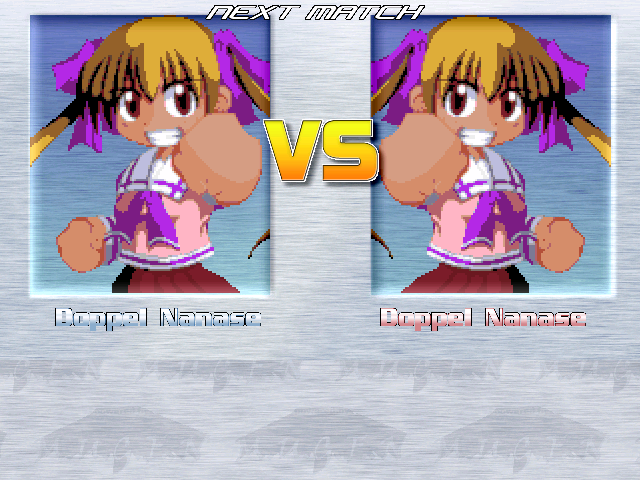 I mean, I'm really no fan of grapplers, but she looks like an interesting one. Final showcase video before I release her next week. Left field but the character looks solid bro, congrats. Hey, that's greatly appreciated, man. It's always encouraging to see people get hyped up for my next release because it means I know I'm doing something right even if I do focus on some rather niche stuff. BTW, good luck with Goku, looks like he's more ambitious than your previous projects.